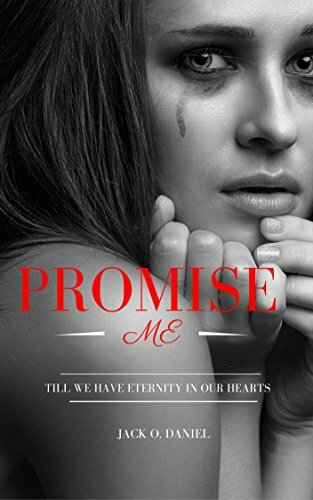 Promise Me has it all. It's a romantic thriller with plenty of dramatic moments. Fast-paced and addictive. It is a must-read for those enjoy full-flavored story-telling. It poses a question: What would you do if the life of the one you love hangs in the balance, and only you could save her? Thomas 'Easy' Steel is an EOD with the New York State Police's Bomb Disposal Unit. An anonymous caller had demanded that he disarms a bomb strapped to a woman's chest. When he arrives at the scene, he discovers that the woman is his wife, Bianca. It shouldn’t be a big deal. After all, his nickname, Easy, had been bestowed upon him at bomb school because he's so easy-going, even when disabling live bombs. This time, however, it's different. He might not survive it. And, what of the woman he loves with all his heart, to whom he promised eternity? Jack O. Daniel is an alter-ego. He prefers to be an enigma. Someone who lives in the shadow, observing how people live and interact; sometimes participating but mostly he stays in the background.